Set on an expansive farm of flowing fields, sprawling meadows and country charm, the barn at Starlight Meadows is the centerpiece to the venue's ambience. With open seating on both sides, the main floor is home to the dance floor, with natural light pouring in through the front and back barn doors. For this wedding, the rustic theme flowed through the entire ceremony and the decorations that downed each guest table. As the couple began their first dance, the guests all turned to watch the newlyweds have a traditional nuptial moment. 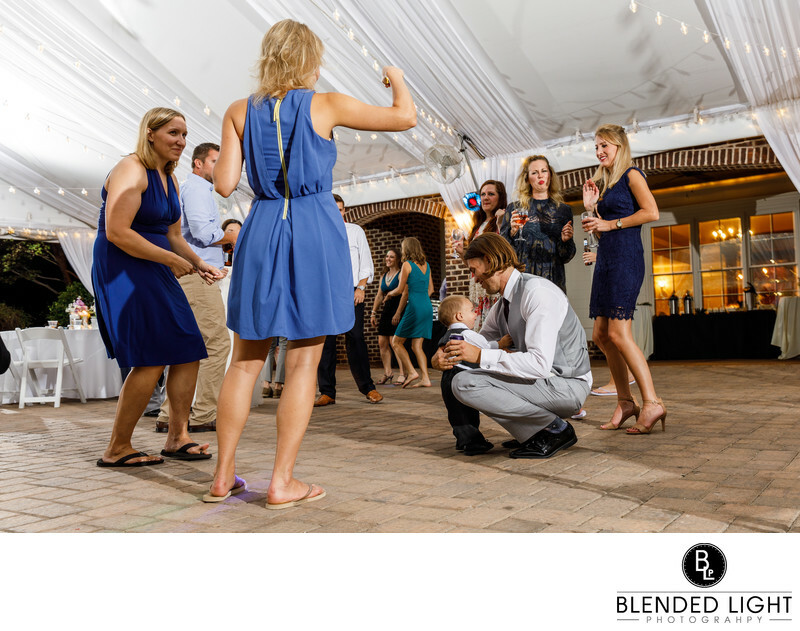 In keeping with the rustic theme of the wedding, the couple slow danced to a country song and stayed primarily in the center of the dance floor. As I moved about while capturing the dance from different angles, I came across this view and knew it would be their favorite. Framing the wedded couple between the beams supporting the trusses of the barn, I used my 70-200 wide open to compress the background while throwing everything but the couple out of focus. The soft smile of the bride while dancing check to check with her groom is a story telling moment from a day that can never be forgotten and instant that is now written in history. Location: 6304 Old Jenks Road, Apex NC. 1/10; f/4.5; ISO 200; 28.0 mm.